What effects do local, national, and international engineering education policies have on the recruitment and training of diverse engineering students? How can we empower teachers as one of the most important catalysts for change? How do Individual (gender, race/ethnicity), Family (economic, socio-cultural status), and Institutional (classroom, school, community composition) factors intersect in the education of engineering students? Are there technologies that are effective in educating engineering students in low-resource contexts? What role do MOOCs (Massive Open Online Courses) play in reaching these students?. Research findings from the DeBoer Lab are implemented in Dr. DeBoer’s sections of Purdue's ENGR131 First Year Engineering course, and data from these experiments inform the lab’s research. Effectiveness of classroom implementation is measured both quantitatively and qualitatively. Students in the classroom are engaged directly in research collaboration with the DeBoer Lab projects: see here for examples of student work, and see project pages for more detail on alignment between research and teaching. In a world where nearly 34,000 people are forcibly displaced every day (UNHCR Report), initiatives to ensure that the right to education is met are more important than ever before. Higher Education is particularly inaccessible - only 1% of eligible refugees are able to pursue higher learning (UNHCR, Tertiary Education). By offering contextually aligned educational programs, engineering education can serve as a powerful tool to foster professional and technical skills that students can use to improve their living conditions. In this research, our team is developing a curricular structure and educational framework to teach introductory engineering for tertiary students in refugee settings. An estimated 300,000 "street youth" (children who work/sleep on the streets) live in Kenya alonge (UNICEF, 2001). In the United States, the “unseen problem” of homeless, school age youth numbers over 1.3 million (cite). Because of transience or social stigma, displaced youth face huge barriers to formal school and developing skills. Informal learning may be uniquely suited to support unaccompanied youth, especially spaces that specifically designed to empower learners to solve problems and afford agency. 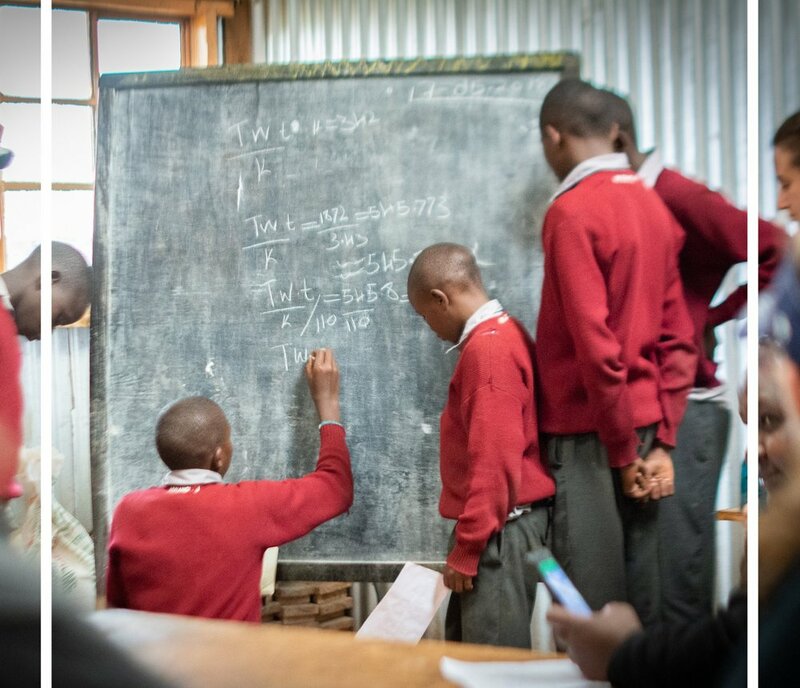 We strive to co-create a program that enables formerly homeless in Eldoret, Kenya to learn engineering skills and problem-solving processes and then apply these tools to local development challenges in their community. Further, we work with the alternative education center, local businesses, and secondary and tertiary school partners to build pathways back to formal education. We organize and supplement existing open educational resources (OERs), employ co-generation of the program along with the students and local leaders, deploy a novel tablet platform, and enable students to manage local problems. We explore ways this targeted, challenging, integrated engineering curriculum works in Eldoret and translates to youth centers in the USA. Women’s engineering participation is crucial, but after decades of research and millions of dollars invested, the proportion of women in the US engineering workforce continues to stagnate around 20% (cite). By contrast, the proportion of women in engineering in a number of predominantly Muslim countries is 2-3 times the rate in the US. 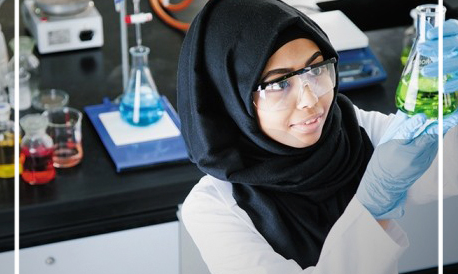 This research aims to study the contextual factors that encourage women’s participation in engineering in tertiary education and as a career and, by extension, to translate findings from cross-national contexts to the US. This project seeks to understand the links between cultural context and expanding women’s STEM participation by studying the economic, educational, socio-cultural, legal, and political drivers of women’s participation in these contexts. 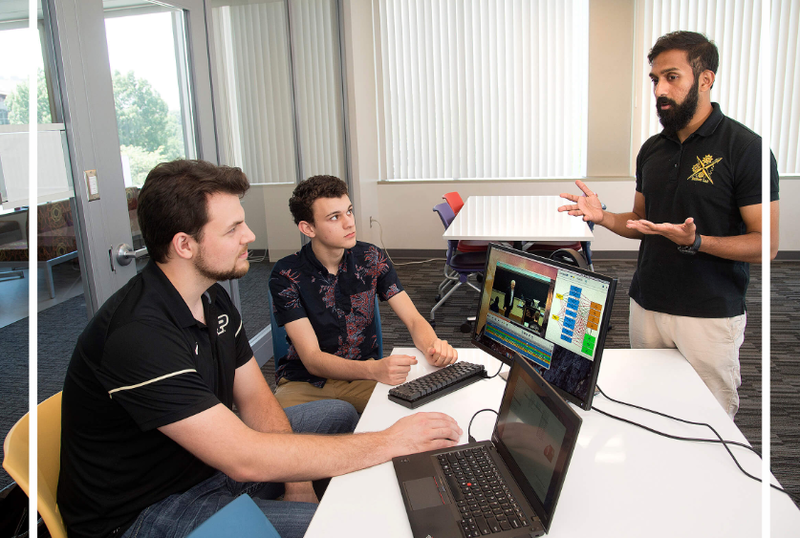 Increasing the retention and achievement of all students in engineering is a high priority for many national and institutional leaders, and digital tools have emerged as a popular strategy for expanding access. However, there is limited evidence that online courses and other tools work for the diverse groups of students in engineering classes in the same way. In fact, early findings from other disciplines suggest that virtual instruction exacerbates achievement gaps. This research thrust studies innovations in delivery, in particular those that we characterize as Active, Blended, and Collaborative (ABC). To better understand how innovations in delivery serve all students, we analyze underrepresented or high attrition student groups independently, rather than studying average effects for a whole class. We also track individual student behaviors to better explain differences in student success and better recommend support systems that are tailored to unique students. This research thrust includes the study of a novel mechanical engineering class environment, study of the introductory physics course sequence, and investigation of introductory lab kits for more accessible advanced neuroscience experiments. By studying innovations in delivery across widely varying contexts, including international sites, we can greatly expand the spectrum of tools that can inform improvements to engineering education.